Justen Ahren wrote and produced an album of music related to this book. Preview it on iTunes. 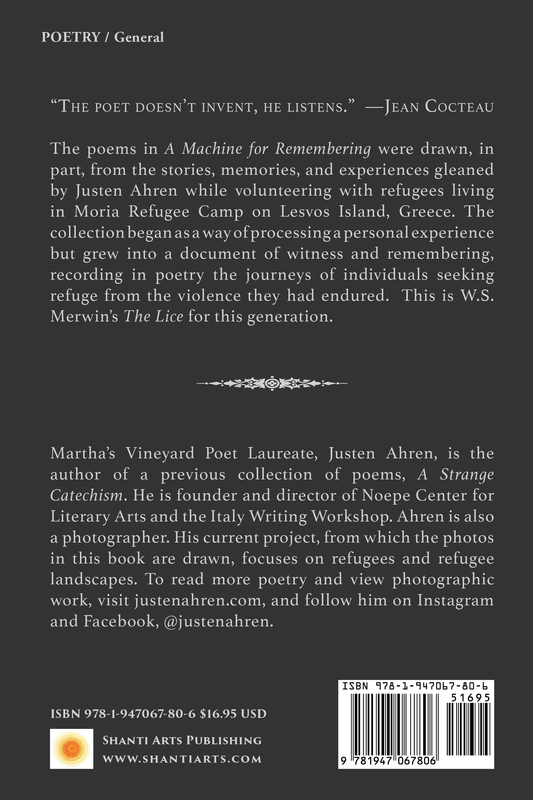 The poems in A Machine for Remembering were drawn, in part, from the stories, memories, and experiences gleaned by Justen Ahren while volunteering with refugees living in Moria Refugee Camp on Lesvos Island, Greece. 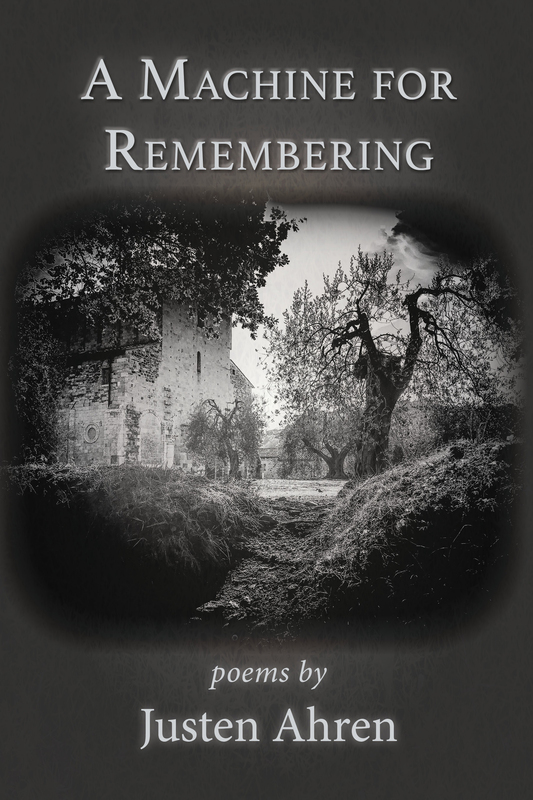 The collection began as a way of processing a personal experience but grew into a document of witness and remembering, recording in poetry the journeys of individuals seeking refuge from the violence they had endured. This is W.S. Merwin’s The Lice for this generation. Martha’s Vineyard Poet Laureate, Justen Ahren, is the author of a previous collection of poems, A Strange Catechism. He is founder and director of Noepe Center for Literary Arts and the Italy Writing Workshop. Ahren is also a photographer. His current project, from which the photos in this book are drawn, focuses on refugees and refugee landscapes. To read more poetry and view photographic work, visit justenahren.com, and follow him on Instagram and Facebook, @justenahren.